The 3rd Circuit Court of Appeals released a ruling last week on whether the hit TV show Empire infringed on the copyright of a Philadelphia television writer. In Tanksley v. Daniels, the court ultimately ruled that there was no infringement in this case because there was no actual copying or material appropriation. 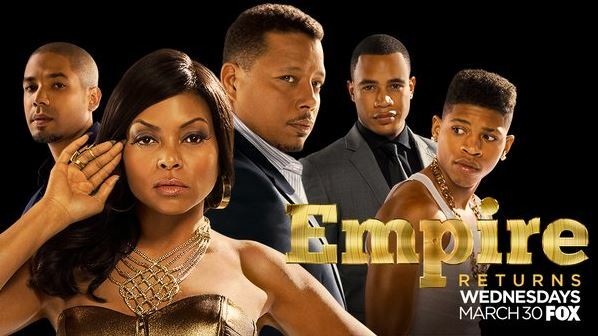 The background of the case involves the claim of a local Philadelphia writer that the show Empire was largely based on a script that he had written and previously pitched to the executive responsible for empire. The facts that gave rise to the case are as follows: Mr. Tanksley met with a Fox executive and pitched him a TV show about a black music mogul/executive who is struggling with family drama and a personal health crisis. The Fox executive expressed initial interest, but subsequently turned down the script. A few years later, Empire premiered, exploring some of the same themes. The court declined to find infringement in this case, despite the similarities. One of the primary reasons for this was that many of the alleged similarities were scènes à faire, and thus, not copyrightable. Scènes à faire are plot elements flowing predictably from a general idea. For example, drunk college students in a movie about college would be scènes à faire. It would be absurd for someone to claim that all college movies were based off the first college movie ever made just because there were drunk college or kids going to class. Instead the court noted that there were two ways to demonstrate infringement. First, by demonstrating actual copying. That is to demonstrate that a unique element that is capable of being protected was actually lifted from the original work and used in the copy. Second, to demonstrate material appropriation. That is to demonstrate that the work taken as a whole by the average laymen observer would be perceived to be a copy of the original. The court rejected that expert witnesses were necessary to further develop the record in determining whether there was infringement. Rather the court noted that the average observer could tell if a painting was copied, if a song was ripped from an original, or if a TV show’s plot had been lifted entirely from another. The court went to great lengths to demonstrate, in narrative form, the plots of the two shows side by side demonstrating that the similarities were superficial at best. Rather most of the local producer’s claim was based on the existence of prototypes, such as a black record executive who is struggling with family drama. A black record executive, the court concluded, is a classic example of a “prototype” that cannot be copyrighted, and family drama would an example of scènes à faire. Both of these are unprotectable elements and not subject to copyright protection. Another unique element about this case is that the 3rd Circuit affirmed a dismissal on a 12(b)(6) motion. 12(b)(6)—dismissal for failure to state a claim upon which relief can be granted—is usually only granted where there is no need to develop any testimony or other facts on the record. The court said it was no error for the district court to have looked at the two TV shows referenced in determining the 12(b)(6) motion. Ordinarily anything outside of the pleadings is not considered in a rule 12 motion, but the court ruled that where the Complaint is based on two works of art, those works of art could be considered implicitly a part of the Complaint as if they were attached themselves. This case is part of a growing national trend establishing that copyright infringement claims that do not have merit can be dealt with on 12(b)(6) motions. The ability to dismiss the Complaint earlier in the process will likely have more defendants fighting aggressively and early. This is good news for large companies who are often the target of copyright trolls, who can now have their cases dispensed with more efficiently. This case also lays out the “prototype” exceptions to copyright protection in a helpful way, and will likely be cited for this proposition for years to come.